180 degree views of the ocean, harbor and town. High location with amazing breeze. Hosts were very accommodating and also very knowledgeable with plenty of suggestions for things to do. We were picked up and taken round the town by Sami our host. The room and location were very quiet and private, with a side view of the sea and sunset. A comfortable, well appointed and thought out studio, with excellent shower. We have apprecciated the welcome and the kindness of the host. He has waited us at the harbour and he has given us the practicalities to live the island. The view from the apartment was wonderfull, we still miss it. The position is perfect, very comfortable. The apartment was very nice and clean. The hosts are very friendly, nice, and attentive . A perfect place for a relaxed and comfortable stay with a gorgeous view near to St. John‘s cave. Renting a car or motorbike is highly recommended to get around. Big beautiful apartments. Great hosts. Terrific location. Everything was excellent and the view was wonderful. I was very grateful for the pick up a the ferry dock and the quick tour around the town. Pleasant and comfortable apartment with wonderful view of Patmos. Susi and Thanasis running Sea View Apartments are excellent hosts and we very helpful in every way during our stay. 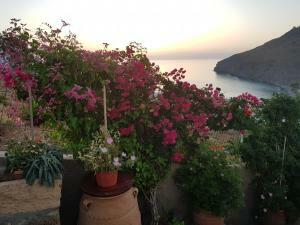 When we arrived at Patmos Port we were met by Thanasis who accompanied us to View Apartments. He was very helpful with information and advice about where to go, what to see and where to dine in Patmos. 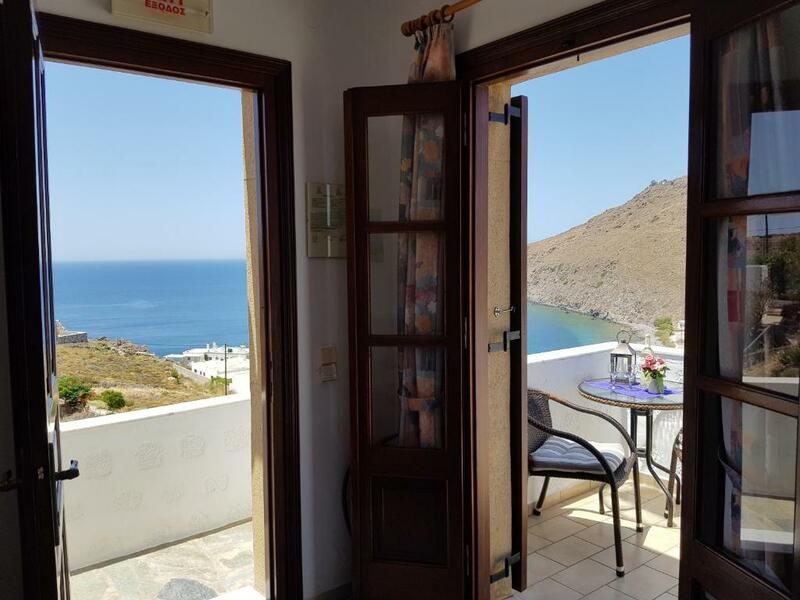 Lock in a great price for Sea View Apartments by Susi & Sofia – rated 9.6 by recent guests! 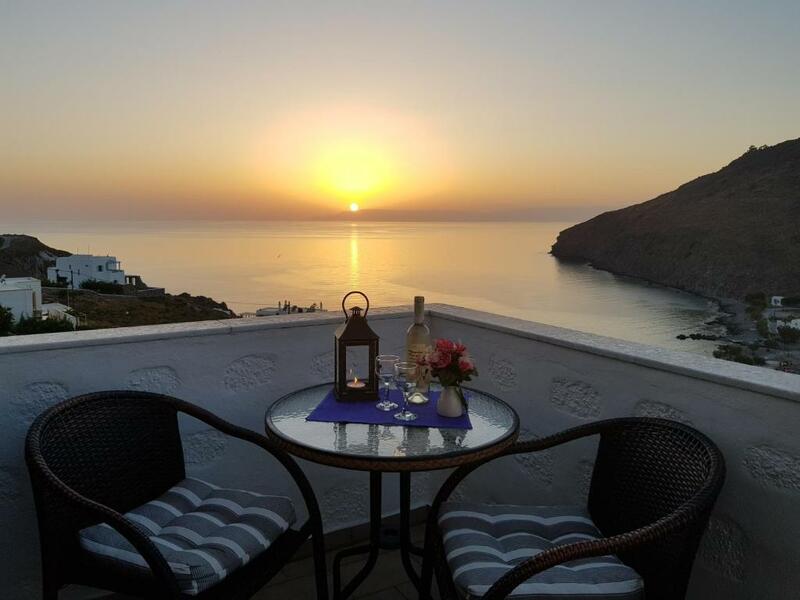 Located only 1,650 feet from the Holy Cave of the Apocalypse, Sea View Apartments offer views over Skala Port and free Wi-Fi. The traditional apartments also overlook Hohlakas bay, 1,300 feet away. Featuring a balcony or terrace, the air-conditioned accommodations options include a safety deposit box and a satellite TV. Some include a seating area with a sofa. All apartments have a kitchenette with kitchenware and a dining area for self catering. Free Wi-Fi access is available and transport services to and from the harbor can be arranged upon request. The multilingual staff can offer information about Patmos island and excursions. 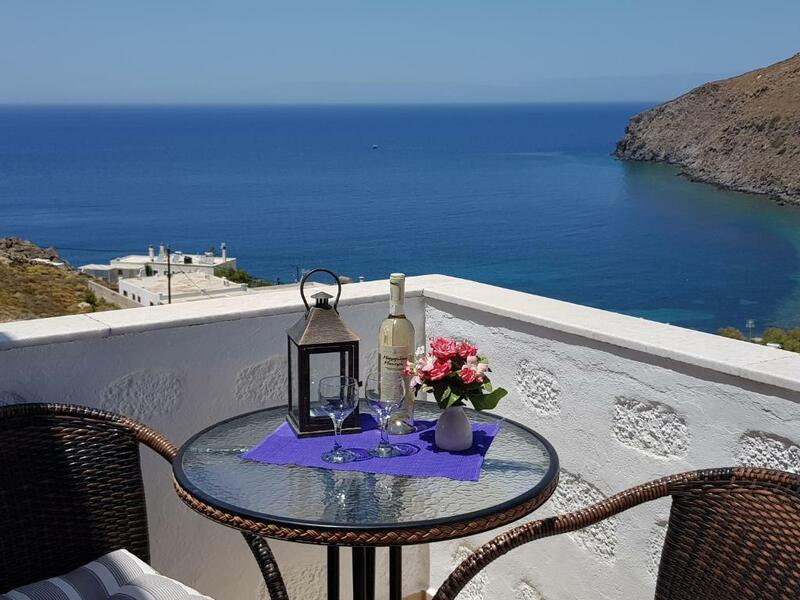 Sea View Apartments by Susi and Sofia are 0.6 mi from the port and center of Skala where there are various shops, restaurants and cafés. The Monastery of St John is 2.5 mi away. On-site parking is free. When would you like to stay at Sea View Apartments by Susi & Sofia? This air-conditioned apartment includes 1 bedroom, a living room and a kitchenette separated by arched doorways. It opens to a balcony with sea views. 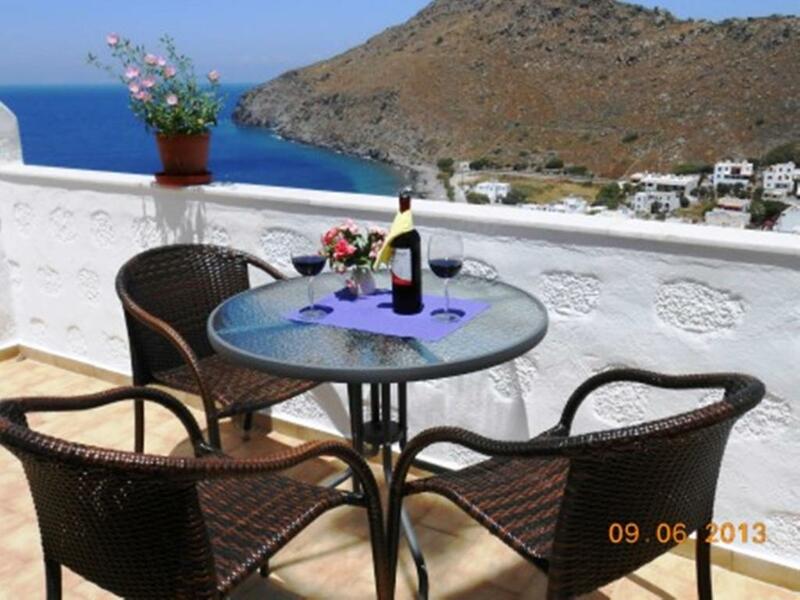 -private terrace with sea and garden views. Unser Haus mit den herrlichen Apartments und einem schönen Studio ist an einer sehr ruhigen Straße (Sackgasse) auf mittlerer Höhe über dem Ortskern von Skala gelegen. Es erwartet Sie ein schönes und liebevoll gepflegtes Haus mit einer Unterkunft, wie man sie sich für die schönsten Tage des Jahres, den wohlverdienten Urlaub, wünscht. 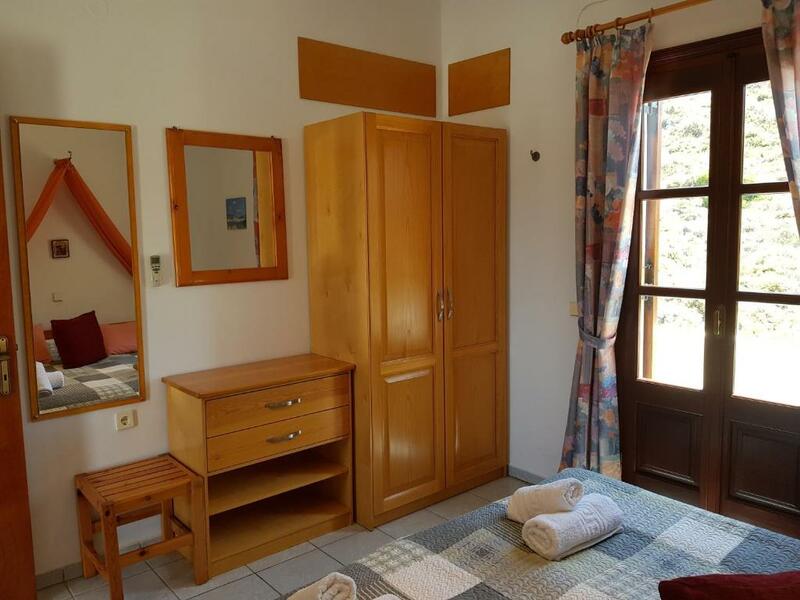 Wir selbst - eine deutsch/griechische Familie - betreuen das Haus mit den Ferien-Apartments und dem Studio. Die Apartments befinden sich im Obergeschoss, das Studio im Untergeschoss - und wir sind für Sie im Parterre als Ansprechpartner da. House Rules Sea View Apartments by Susi & Sofia takes special requests – add in the next step! Sea View Apartments by Susi &amp; Sofia accepts these cards and reserves the right to temporarily hold an amount prior to arrival. Sea View Apartments by Susi & Sofia accepts these cards and reserves the right to temporarily hold an amount prior to arrival. Please inform Sea View Apartments by Susi & Sofia of your expected arrival time in advance. You can use the Special Requests box when booking, or contact the property directly using the contact details in your confirmation. Although within ten minutes of the centre it was up a hill, so not ideal for everybody.. We used to take a taxi home each night, only 4 euros. We were in the downstairs studio, the 3 apartments above were very nice. Sakis and Sofi were very helpful and gave us useful information for our stay. Sakis was kind enough to pick us up and drop us off to the port. We really enjoyed our stay in the apartment, as everything was carefully organized. Every little detail in the room showed that those people care about their guests and want them to experience a relaxing vacation. Great view and a quiet cozy apartment. 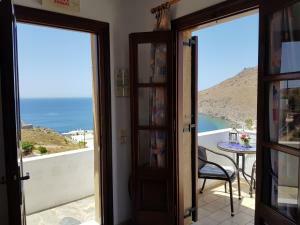 I honestly can't find any negative comment for these rooms let alone Patmos! I've booked a room based on the reviews and I've come to realize that each one of them were true. The owners picked us up from the port and waited until I rent a motorbike (it is advisable to do since the rooms are on a hill and you have to walk 10 min. to Skala but also to visit every corner of the island). The rooms were extremely clean, even my girlfriend, the strictest judge, had nothing to complain about! Each room has a panoramic view to Skala and you can enjoy the sunset lying on your bed (see foto). Wi-fi works in every corner of the rooms with decent speed. In the kitchen drawers you can find anything you want to cook, but I would strongly recommend to taste the authentic greek cuisine in the many restaurant of the island. The owners, Suzi and Sakis are very friendly and willing to help, while keeping the proper discretion. The money for value ratio favors undoubtedly the costumer and the only reasonable explanation is the spirit of philoxenia (hospitality) of the owners, who respect every cent you pay. No wonder these rooms have the highest ranking on booking.com. I will definetely visit them again! 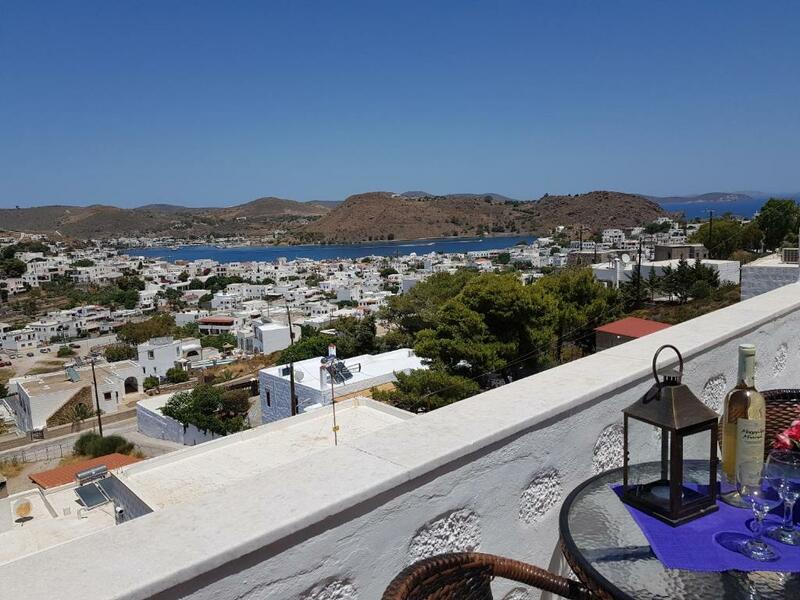 Tip: Don't skimp the days you plan to stay on Patmos, you'll regret for not staying longer..! We can't be happier! My third time in Patmos, and my partners first, we had a great experience. 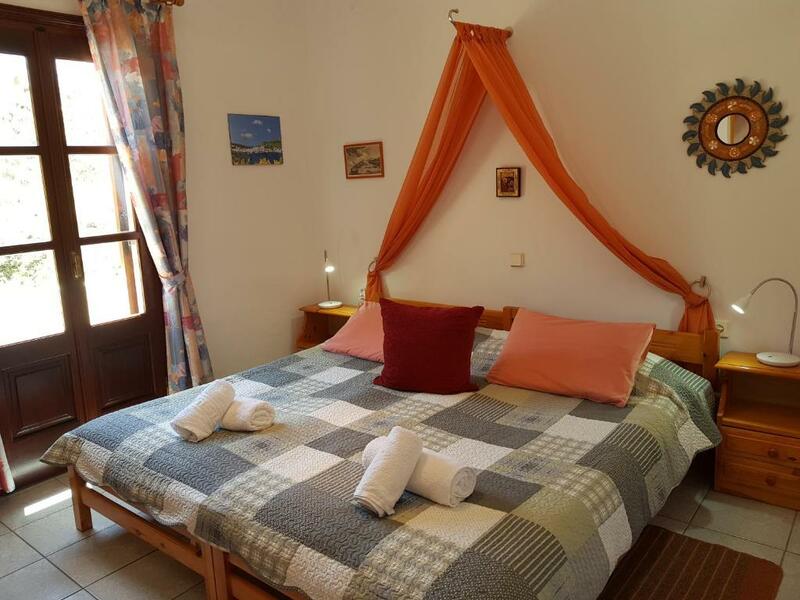 Our hosts were so welcoming, and our apartment was spacious, with well equipped kitchen, nicely decorated, and not to forget, because of the location high up the hills, there were no bugs and the cross-breeze made the temperature very pleasant. The view was amazing, a large balcony were we actually had two sea views, granting us both sunrise and sunset. The fridge was filled up with water and juice when we arrived, and everything was very clean, trash taken out every day. Saki and Sofia was so helpful, both arranging a vespa and helping us book Aloni restaurant. And our bags were driven down to the port when we left for Samos. You can easily walk down to Skala and all the sightings are close by. With a vespa you have a short drive to Kampos Beach and restaurants close by in Meloi, Agrio Livadi and Lampi beach. There are also buses which conveniently take you to most locations if you do not drive. We already look forward to our next visit to Patmos, thank you for everything!